Looking for DIY and builders waste clearance in Hornchurch RM12? Look no further than Away With It! 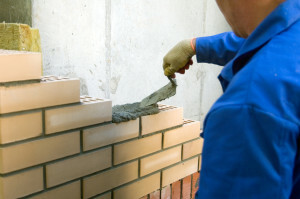 We supply builders waste removal Hornchurch householders and firms can count on for quality, flexibility and convenience at competitive rates. 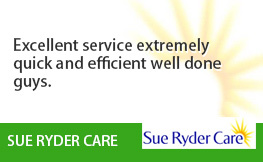 We don’t just provide a great service, we do our bit for the environment too! We work diligently to reuse or recycle 80% of the waste we collect in Hornchurch RM12. 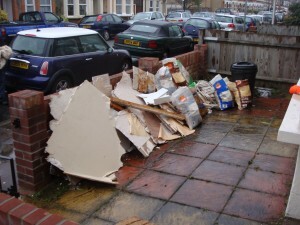 And as we’re fully licensed waste carriers we also dispose of anything that can’t be used again properly too. 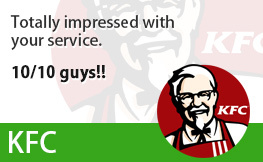 We make things as easy for our customers as possible. 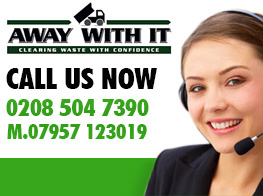 Just give us a call, and we’ll offer you a two hour time slot for collection so you know when to expect us. We work all over the Hornchurch RM12 area 7am till 11pm, seven days a week, so there’s bound to be a time to suit. An hour before we arrive at your house, we’ll call ahead to confirm our ETA. We offer a free of charge, no obligation estimate, which is inclusive of all labour, transportation and disposal fees. 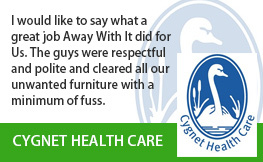 There are no nasty surprises when you use our services. We charge for the space your waste occupies in our vehicle and are usually able to give an accurate estimate before you book. 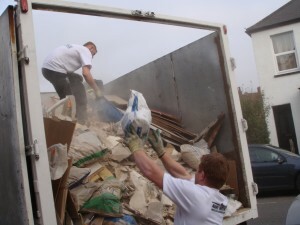 Get in touch to discuss your requirements for builders waste removal Hornchurch! 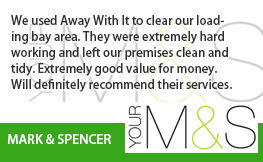 Just call us on 0208 504 7390 or 07957 123019 to arrange a collection. 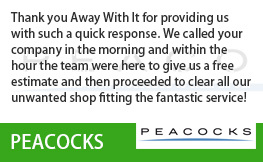 Our welcoming team will be more than happy to discuss you requirements for builders waste removal Hornchurch and recommend the best solution for your needs. 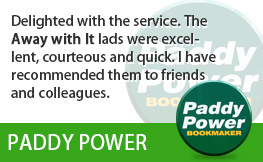 Or if it’s just a quick quote you’re after, head over to our handy online form and we’ll get back to you in a flash.